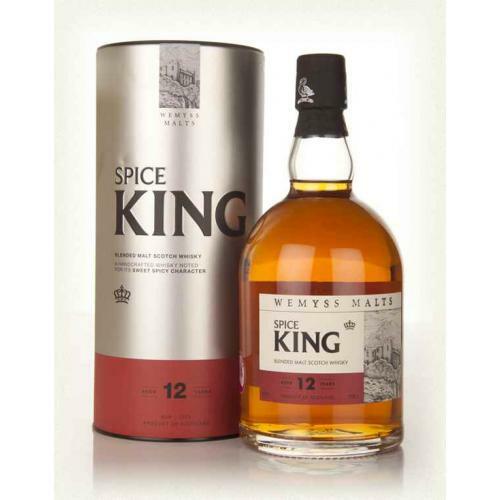 Founded in 2005 by the Wemyss family (pronounced Weems), the company specialises in vatting together the finest malt whiskies from different distilleries. 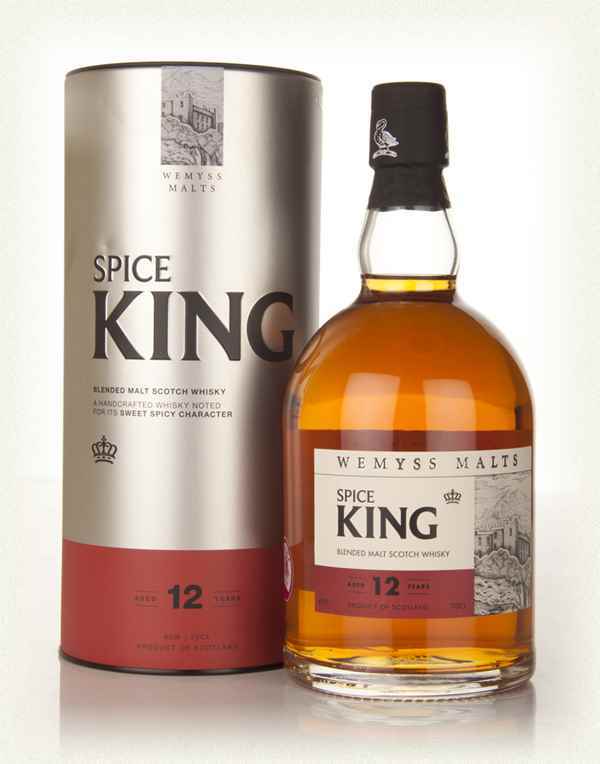 A spicy dram from the folks at Wemyss, Spice King is a result of their longstanding passion where each cask is rigorously selected and blended together to create a malt whisky which is noted for its spicy notes. Nose: Immediate aromas of spice, with late hints of smoke and a trace of pepper. The spices soon warm and only intensify the previous aromas. Palate: A peppery note is immediately apparent as behind the dominant spices there are warming notes of stewed apples and cinnamon stick. Finish: The stewed apple and cinnamon stick notes develop into a rich and lasting finish. On the nose there are immediate aromas of spice, with late hints of smoke and a trace of pepper. Warming intensifies these aromas and the spicy, peppery note is immediately apparent on the palate. Behind the dominant spices there are warming notes of stewed apples and cinnamon stick, which develop into a rich and lasting finish.